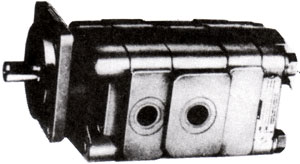 SEISMIC Drilling Contractor – where before he was achieving 2 months service life from his pumps at the time of this printing had achieved over 18 months. SEWER and WATER Contractor – has now doubled his pump service life with these modifications; each day sets a new service life record. Hydratec is the first distributor in North America to achieve the “inhouse” capability to increase the system working pressure by 25% or to Double its life expectancy. 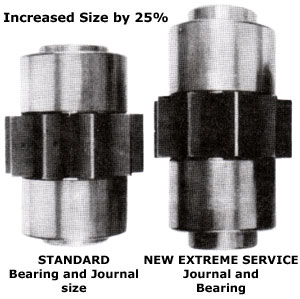 We are able to make these dramatic improvements by increasing the Bearing journal and bearing size by 25%. This modification is now available only at Hydratec. All 3000/7500 configurations are available on very short lead time.